Rhia Powell Swansea University, Walia "Overall an excellent programme that far exceeded expectations and one I will highly recommend to others if given the chance to visit the University of Silesia. Thank you!" 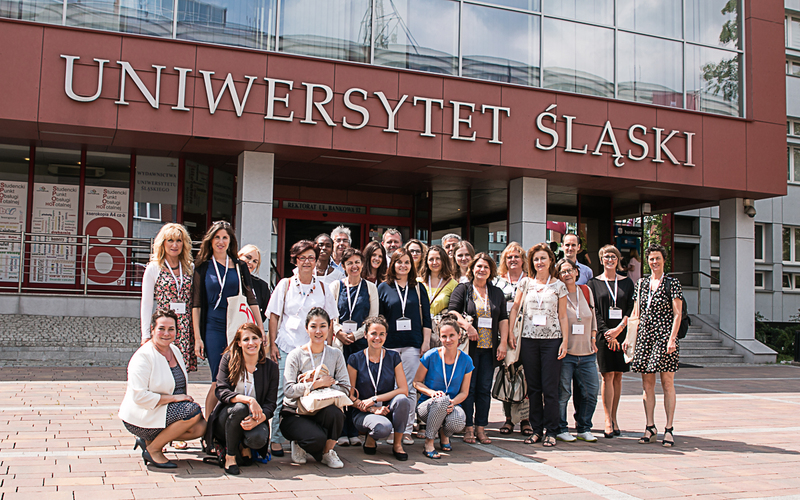 Luka Dimitrijević University of Belgrade, Serbia "It was a fantastic experience, with so much positive energy and communication with other colleagues. Moments like this are precious and stay in your heart for the rest of life. I would also like to express my deepest respect to my Polish colleagues, who were so professional, organized, positive, and true gentlemen and ladies. Thank you for such hospitality and for presents, everything was lovely!" Violetta Philippova Immanuel Kant Baltic Federal University, Rosja "The International Mobility Week at the University of Silesia was organized on a very high level and provided networking possibilities with partners from many different countries. Moreover, we had an excellent chance to get acquainted with the University of Silesia and its staff members (and knowing your cooperation partners in person is always good) and I am really hopeful that we will be able to develop even closer cooperation. Colleagues from the University of Silesia made our stay in Katowice fruitful and comfortable and I am really thankful for all their efforts and time devoted to us." Tetiana Sushytska The National University of Ostroh Academy, Ukraina "Organization was on the high level. All staff are very friendly and well organised. Programme of this Staff Week was very interesting and helpful." Lidong Wang Beijing Foreign Studies University. China "What your team have done before and during the mobility week is so amazing. In terms of the preparation work, it is high efficient and we always got prompt feedback. During the whole mobility week, the arrangements involve a perfect combination of learning and playing. It is good to see you taking the training courses with us and share your experience. Also, you are so patient and helpful when we have questions. I love the days in Katowice!" Susan Gibbs Ecole De Biologie Industrielle, Francja "Excellent organisation and good evidence of teamwork which was nice to see. There was a good mix of countries and nationalities and the activities allowed us to bond. My only regret is that sometimes I felt a bit rushed during some of the visits but I suppose that that can't be avoided. The best Staff Week (out of 5) I have attended - well done!" and St Methodius University of Veliko Turnovo, Bułgaria "It was very useful for me to take part at the International Mobility Week at the University of Silesia in Katowice. Excellent organization." Maddalena Ercoles Fondazione Unicampus San Pellegrino, Włochy "I found that the International Staff Week was really very well organized and staff was always available. I enjoyed the activities done, which were useful and pleasant and allowed participants to know each other and create a cohesive group."